Less than a year and a half ago, we mourned the loss of an iconic elephant bull from Tsavo National Park in Kenya named Satao, who was slaughtered by poachers for his enormous tusks. Those who studied him observed that he had learned to hide his tusks in the presence of humans, seemingly knowing that his fate hinged on how he was perceived by those who stalked him and his brethren. Now we are saddened by the loss of another massive alpha male of its species, this one from Zimbabwe. His death came at the hands of someone entirely different: a trophy hunter. While poachers resort to killing animals illegally to sell their parts, trophy hunters do so for the bragging rights of the so-called "take." Sadly, both are eliminating the most charismatic specimens of already imperiled African populations. Hunters and governments that permit hunting defend the activity for a variety of reasons. Hunters shell out lots of money to kill animals: Corey Knowlton paid $350,000 for the rights to shoot a black rhino in Namibia; Walter Palmer spent $54,000 to kill Cecil the Lion in Zimbabwe, and an unidentified German hunter allegedly spent $62,000 to kill the aforementioned elephant. They claim their money eventually benefits local communities. In truth, this is oftentimes greatly exaggerated and killing animals with the intent of helping community development or combating poverty is disingenuous, as hunting operators and outfitters benefit most from trophy hunting. Where nations rely on revenue generated through hunting licensing, I would challenge the international community to work to find alternative economic drivers. One individual animal does not make such a difference to a larger population, they argue. Such thinking is obsolete. Scientists studying animal behavior in the wild have learned over years of research that single animals are the building blocks of their species. Remove one, especially an older individual, and the effect is felt through families, bond groups and clans as well as reflected in gene transfer through offspring. It is part of a trend called "evolution in reverse" or "survival of the weak." Studies have shown that sport-hunted populations of species like bighorn sheep now have smaller horns than those of 30 years ago. 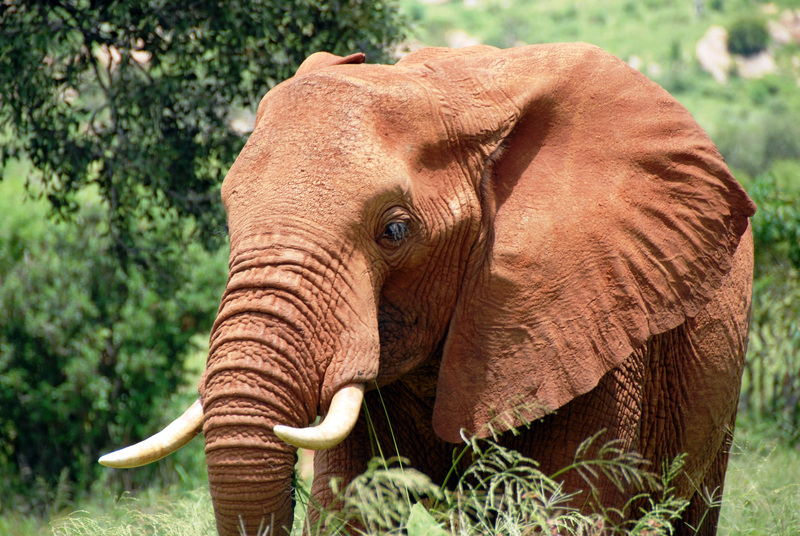 After decades of poaching and trophy hunting, elephants like Satao and the recently killed tusker are fewer and fewer. Is this conservation? Is it sustainable? Even though hunts throughout Africa are legally permitted, that does not make it right. With more than 35,000 elephants a year losing their lives to poaching for their tusks, now is the time to provide protection for elephants, not offer them up as goods for profit. What's worse is the trend toward wildlife "farming" and "canned" hunting, where animals would be bred and raised to die by a hunter's bullet. I hear arguments that private management of farmed elephants, rhinos and lions constitutes an acceptable vision of conservation. How can we possibly imagine a world in which wild animals are forced to give up their lives to fund their species' survival? Or made to live within boundaries of private game reserves rather than within their natural habitat? As very few elephants with large tusks remain, individuals that are well endowed always stand out. It is no wonder that they elicit awe and joy in equal measures among the rangers who toil under very difficult circumstances to ensure that they and other elephants are safe. We need to find better ways to keep these magnificent animals alive and thriving in the wild. Dying by the gun, that of either a poacher or a trophy hunter, is simply not acceptable.